Aiming to empower tourist accommodations in the city, SM City Puerto Princesa leveled up this year’s Hotel Expo with 50 participating hotels and tourist inns. In line with SM City Puerto Princesa’s tourism campaign, it once again hosted the Hotel Expo from February 16 to 24, 2019, at the Event Center. The Hotel Expo Year 2 is now in partnership with the Association of Accredited Tourist Accommodations in Puerto Princesa (AATAPP) that made the project bigger from only five hotels in 2018 to 50 this year. Different tourist accommodation players in Puerto Princesa City gathered at Palawan’s gateway to world-class shopping offering special discounts and exclusive deals. 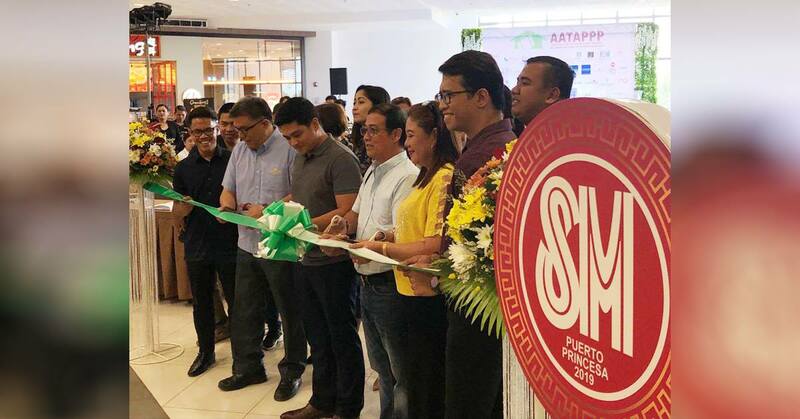 To formally open the said hotel expo, an event launch was held on February 16, 2019, with guests from different tourism stakeholders and the tourism council lead by Ms. Cynthia Aileen Amurao, City Tourism Officer and Councilor Roy Ventura, who represented the City Mayor. Through AATAPP’s initiative, the Hotel Expo Year 2 also included a series of tourism industry know-how and updates for participants coming from their members and students of hospitality and tourism. Talks about personality development, public relations, skills and expectations in the tourism industry are introduced in this year’s event as well as seminars on green initiatives like plastic-free ideas, plastic pollution, and ecological principles. On February 21 and 22, there are bartending trends and coffee appreciation, respectively with product demos afterward. “This initiative is a testament of our support to other local businesses and of our commitment to public service. We hope that this event becomes a fruitful synergy among various sectors working hand-in-hand in promoting our wonderful City” said Russell Fernandez, public relations officer of SM City Puerto Princesa.